A comprehensive overview of Roberto Rossellini's works by leading critics, examining key issues and themes, and covering each phase of his career. A comprehensive overview of Roberto Rossellini's works by leading critics, examining key issues and themes, and covering each phase of his career. A master of modern European cinema and a key figure in the Italian neorealist movement, Roberto Rossellini had one of the longest and most varied careers of all major directors. From Rome Open City and Pais through to the 'Bergman' classics Stromboli and Journey to Italy and his later work for television, Rossellini's work and ideas had a profound influence on filmmaking and criticism. This specially commissioned overview of Rossellini's works examines key issues and themes covering all phases of his career. Leading critics from across the world examine, among other issues, the Fascist context of Rossellini's early work, the view of Europe that emerges in his films, the stylistic trajectory of the work through neorealism and beyond and its influence on the French New Wave, the issues of representation that emerge in later films and his extensive work for television. The significance of Rossellini's relationships with Ingrid Bergman and Anna Magnani is also discussed and the book also includes a dossier section of materials providing an overview of the most important facts and documents concerning the director. This new book from a range of the world's leading commentators on Rossellini will provide an important starting point for study. A master of modern European cinema and a key figure in the Italian neorealist movement, Roberto Rossellini had one of the longest and most varied careers of all major directors. From Rome Open City and Pais through to the 'Bergman' classics Stromboli and Journey to Italy and his later work for television, Rossellini's work and ideas had a profound influence on filmmaking and criticism. This specially commissioned overview of Rossellini's works examines key issues and themes covering all phases of his career. Leading critics from across the world examine, among other issues, the Fascist context of Rossellini's early work, the view of Europe that emerges in his films, the stylistic trajectory of the work through neorealism and beyond and its influence on the French New Wave, the issues of representation that emerge in later films and his extensive work for television. The significance of Rossellini's relationships with Ingrid Bergman and Anna Magnani is also discussed and the book also includes a dossier section of materials providing an overview of the most important facts and documents concerning the director. 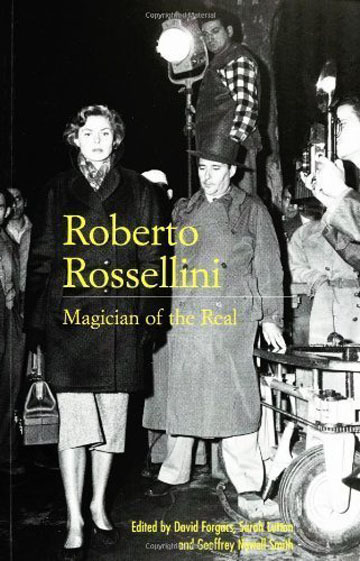 This new book from a range of the world's leading commentators on Rossellini will provide an important starting point for study.